Milly Hill Lamb awarded the Royal Agricultural Society of NSW's prestigious President's Medal. Order meat online for the best meat available. See some of our media articles! 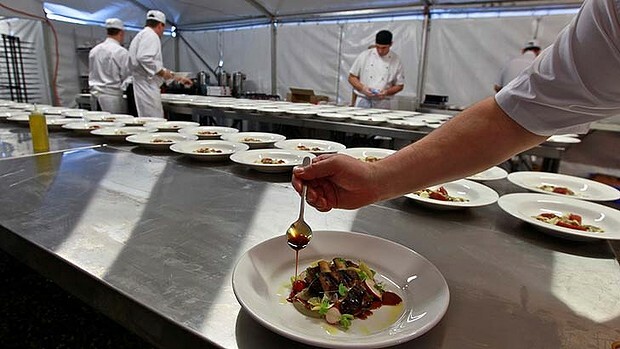 Making a meal of it … chefs prepare for the Royal Agricultural Society of NSW's President's Medal dinner. The winners said they were ''absolutely pumped and stoked''. Photo: Ben Rushton. 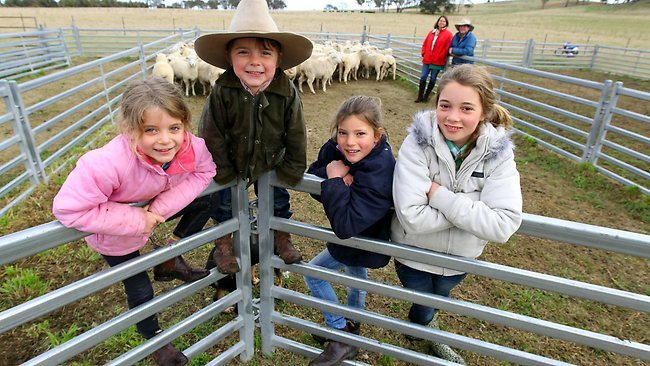 THE hunt for Australia's finest food produce is over, with a small business in the state's northern tablelands satisfying the taste buds of judges with its premium quality lamb to win the country's highest produce accolade. SHEEP farmers Sally and Peter Strelitz began supplementing their income in 2008 by delivering lamb in a box to family, friends and local butchers. Now their meat is on the menu at some of Sydney's top restaurants, The Ortolan On Bayswater and Universal. Milly Hill Lamb is one of the most sought after premium lamb brands in New South Wales and Queensland’s leading restaurant and food service outlets. Produced predominantly from individually selected, prime quality lambs raised on the productive pastures of the New England Tablelands, Milly Hill Lamb is renowned for its consistency, delicious flavour, superb texture and tenderness. Milly Hill Lamb is going from strength to strength supplying lamb to some of the best restaurants in Queensland and NSW who appreciate the consistency and quality of our product.